Tired of the "same old, same old" on the radio? 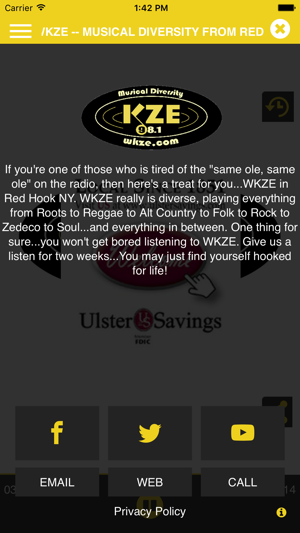 Then here's a treat for you: WKZE in Red Hook NY. 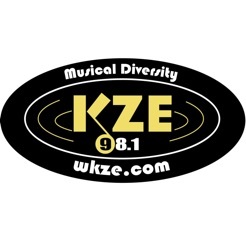 WKZE truly is diverse, playing everything from Roots to Reggae to Alt Country to Folk to Rock to Zydeco to Jazz to Soul....and everything in between. 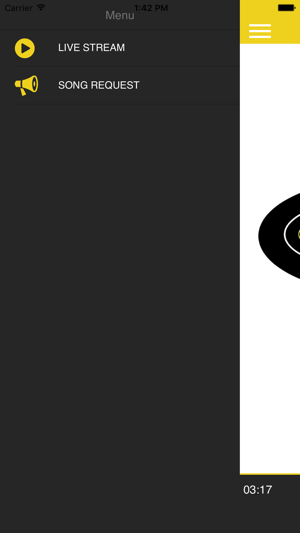 One thing for sure....you won't get bored listening to WKZE! Give us a listen for two solid weeks....you may just become a fan for life! 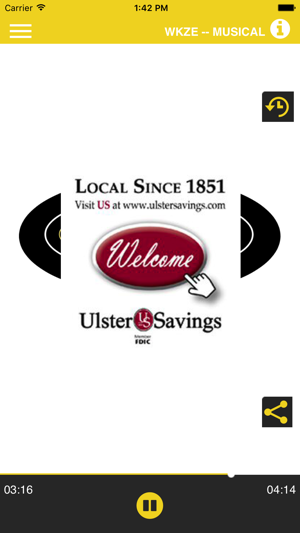 Cool app for great local radio, some cool features you can't get using other radio apps included. I love WKZE and am happy to support them anyway I can. Truly independent with NO CORPORATE SPONSORS! Listen in for just 5 minutes and you will be convinced!